December 9, 2015 by Bill McMurdo "Merlin"
Your faith-filled confession or affirmation is vital to your financial state of affairs. What you SAY determines what you will GET in life. Nowhere is this more applicable than in your financial situation. Examples of speech where this could work against you with devastating consequences include statements like: “I never seem to get ahead financially” and “I never have enough money.” Also, saying stuff like “Life is hard in this economy” and “There isn’t enough business to go round” will not serve your best interests. 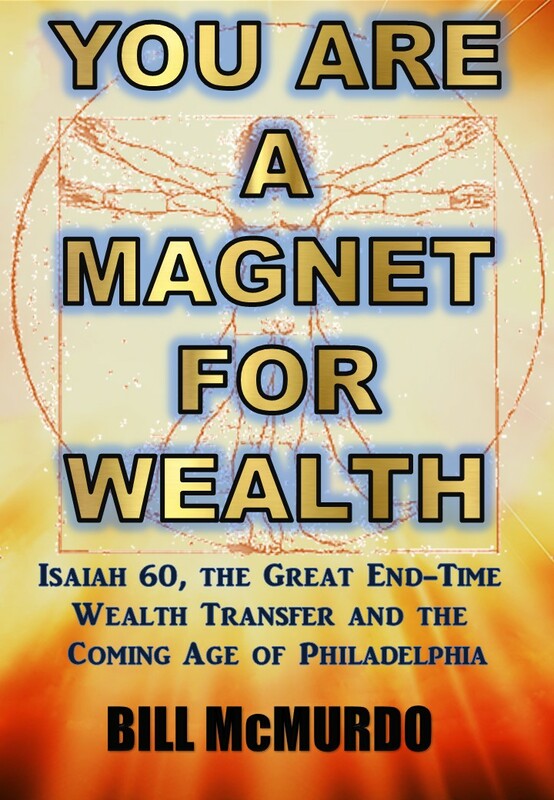 If you are going to walk in financial superabundance you MUST change what you are saying about money – if, of course, what you are saying is negative and doom-laden. You have been divinely created and designed to alter circumstances by speaking life-filled words rather than words of death and destruction. According to the above verse in Proverbs, you literally eat by what you say and you can see increase in your income by the words you speak. It’s easy to prove this and silence sceptics. If you can get a sceptic to say only positive things about his/her financial affairs and leave off negative talking, even the most hardened will have to admit there is a very powerful truth at the heart of this message. In other words, it works!! And anybody can prove it for themselves if they will only be diligent in applying it. Your faith-filled words can dominate – and eradicate – lack, penury, debt and poverty from your life. You can literally speak yourself into a prosperous, superabundant life – if you will say what God said concerning supply and finances. God’s Word has much to say about the infinite supply that is yours to claim in Christ. By speaking what the Bible says, you can change your income levels massively. As one translation says: “The power of the tongue is life and death— those who love to talk will eat what it produces.” You ingest either death or life by what you speak. That means you will enjoy plenty and abundance or scarcity and lack. The quality of life you experience is dependent upon what you say. This goes beyond positive thinking, or positive speaking. The message of supply in the Word of God has the supernatural miracle power in itself to produce what it says. The supply you speak of manifests in physical form when you release the words. This is the Shazam! of financial supply, the Aladdin’s Lamp of life, the real magic of the universe. Supply is yours by saying so. That is the faith secret of the Bible. You have what you say. This is why confessing poverty is so devastatingly wrong and why confessing you have superabundant supply is a must. The secret of your financial increase is by affirming you have it.